We pride ourselves on giving our customers the ultimate farm winery experience. From the first taste of our handcrafted, Old-World-style wines to our friendly and knowledgeable staff, we’ll make your visit one to remember. Tour the vineyard by appointment June–August. 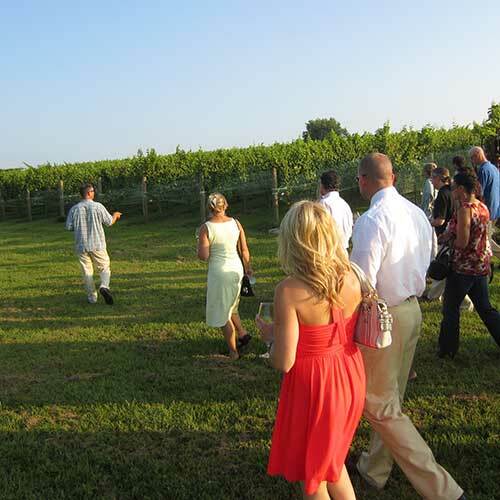 Learn about viticulture, cellaring, and what makes us a true Virginia farm winery. Call 571.439.2255. 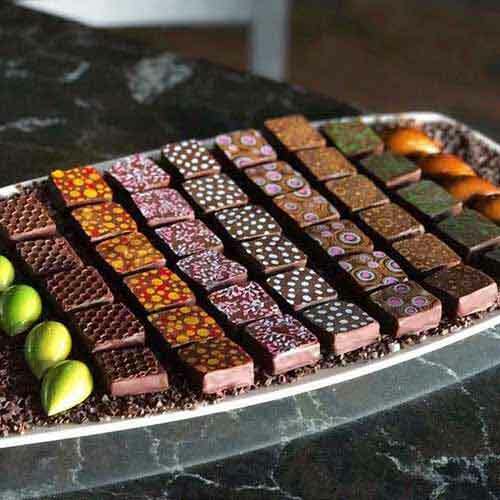 For a delicious experience, add a chocolate tasting with a selection of artisan bon bons, expertly handcrafted from local chocolatier, The Conche. We invite you to become part of our online social networks. Here you’ll often find the most up-to-date information about what is happening at the winery. Follow us on Facebook, Twitter, Instagram, and Pinterest. Did you enjoy the wine and your overall experience at 8 Chains North? We are grateful for positive reviews! Share your experience on Google, Facebook or TripAdvisor. Have a great photo taken at the winery? Share it on social media and tag us using @8chainsnorth and #8chainsnorth. If you’d like us to consider using your photo on our website, fill out our Photo Submission Form and upload your photo. 8 Chains North Winery is located just 8 mi. northwest of Leesburg, Va. off Rt. 9.